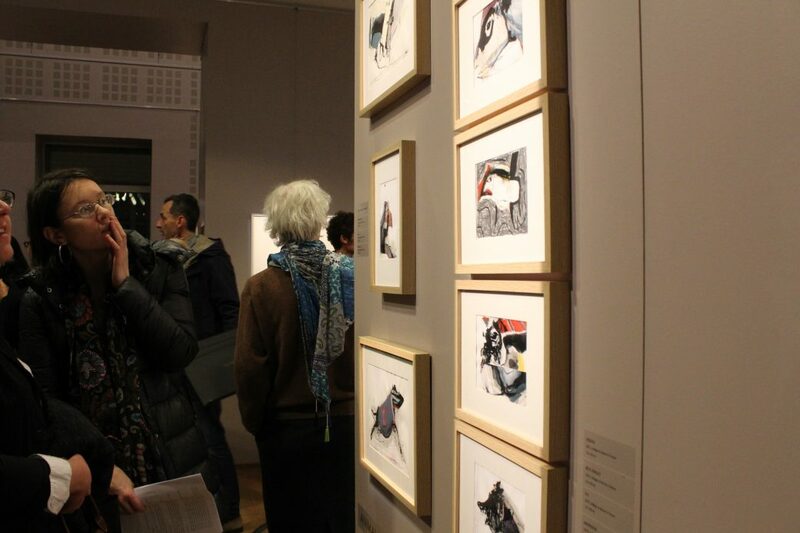 Singulart artist Christophe Faso recently participated in Arthothèque’s ‘ANIMAL’ exhibition in Paris. The exhibition’s driving theme called for selected artists to explore animal inspirations— be they realistic, imaginary or symbolic, and French painter Faso more than fit the bill with his bestial series of part-animal, part-human creatures. 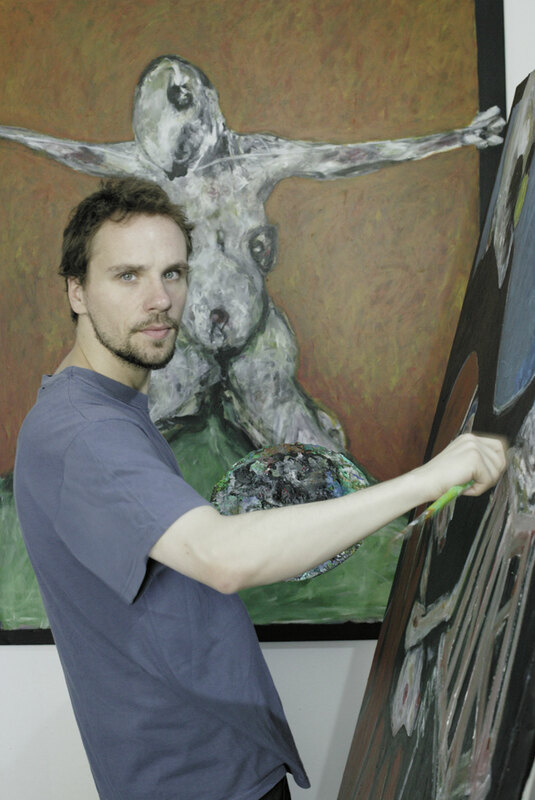 We took time out with the exciting painter to delve deeper into the series and its creation. Hello, Christophe! Congratulations on the ‘ANIMAL’ exhibition. Which works did you include for the occasion? My participation in the exhibition was centered around my ‘CHIMÈRES’ series, or at least a part of it— the series actually contains about a hundred works, most of them small, between 18x13cm and 30x20cm. It’s made up of collages of strips of paper, which are torn and then glued; after which I add ink to begin the drawing. For the exhibition, I chose to present ‘beasts’ that resemble identifiable animals, either in immediate, representational ways, or via more ambiguous links. 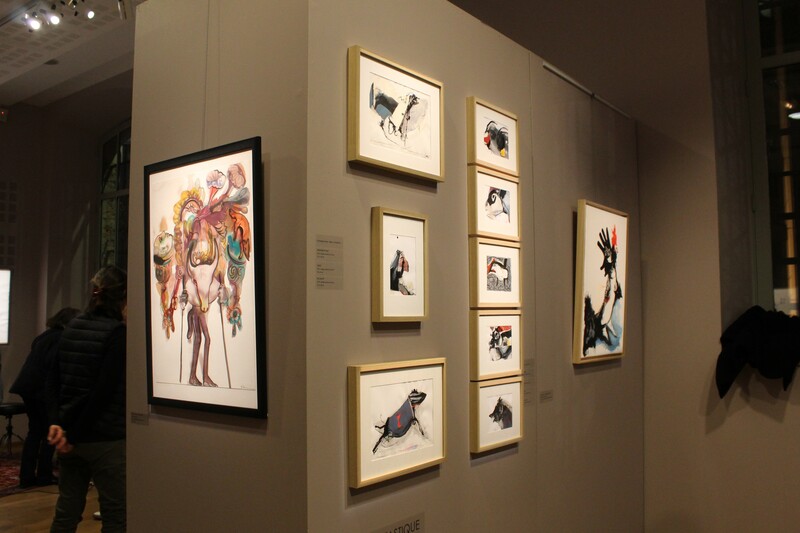 Faso’s works on display at Artothèque’s ‘ANIMAL’ exhibition. How and when did you create this series? I began work on ‘CHIMÈRES’ in the middle of 2017, following the death of my father. I felt like I needed to return to the studio and begin brand new creations— smaller ones, with a more intimate quality. For this, I took old, abandoned painted paper works that I’d never exhibited and reassembled them into new pieces. They took on the form of a strange animal, and more generally acted as a different way for me to view my work. With this series, I explored the idea of deconstructing in order to rebuild, tackling elements of both life and death and the balance between them. I essentially sought to achieve thematic meaning via technical form. ‘PASSERELLES CHARNELLES’ is a slightly older series. It’s made up of works on paper, in simple ink and acrylic. The idea here is to master the basics through as little means possible. In terms of subject, I create depictions of bodies that sit between figurative art and abstraction. The white of the body is represented by the paper, and everything else intertwines to reveal a creature— either human or otherwise. 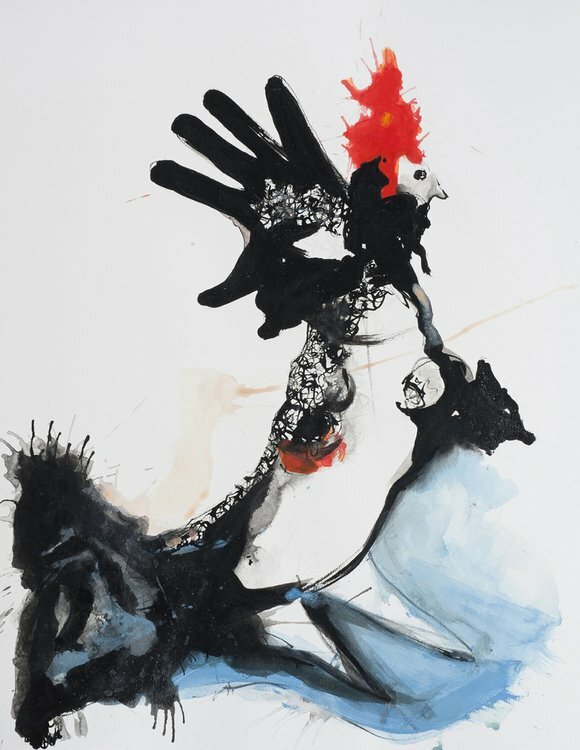 A focal piece in the exhibition was my ‘ANIMAL NATION’ painting, which portrays a half-rooster, half-wolf predatory creature. ‘ANIMAL NATION’ by Christophe Faso: a focal piece in his exhibition. Any other upcoming or ongoing projects you can tell us about? I’m currently in the process of finding a new place where I can prepare my next solo exhibition, in order to bring together the “PASSERELLES CHARNELLES,” “CHIMÈRES” and “CHAMPS-ÉLYSÉES” series. I also have another group exhibition coming up in a few weeks, in a gallery in Madrid, and am planning a solo exhibition for 2020. In September, I’ll be participating in a big group exposition— the ARTCITÉ event, which is a Parisian art event that has been running for more than 15 years. Then, my workshop mates and I are organizing a group exhibition in our Paris studio, to take place at the end of the year. It’s called CENT TITRES; 20 artists will expose small and medium works over the course of a weekend. The idea is to unite artists who live in the Parisian region, but also creatives from the whole country. In fact, even overseas artists can participate, and have done so in the past. Christophe’s complete artist page can be viewed here.